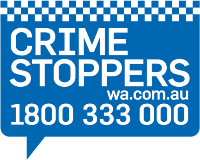 Service stations must notify the WA Police Force on 131 444 at the time of a stealing of fuel incident. If you have been advised at the time of calling to complete a Fuel Drive-off Reporting Pack, please download and complete the pack before delivering to your local police station. *Please be advised that the previous Service Station Fuel Non-payment Report Forms will no longer be accepted.